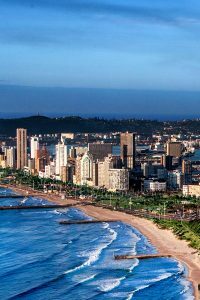 Durban is one of South Africa’s best-loved holiday destinations. The postcard perfect beaches, year-round sunshine, uniquely Afro-Indian culture and fascinating historical heritage are waiting to be discovered. 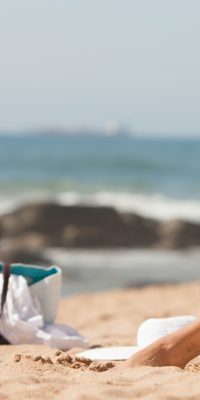 Our Durban guide includes useful travel tips, delicious dining destinations, a Durban spa guide, local’s favourite Durban attractions, suggestions on the top Durban hotels and the best beaches on the Golden Mile. Discover what makes Durbs so special and why the New York Times rated Durban as a top 10 ‘must-visit’ destination. Make your stay in Durban a trip to remember with our top travel tips. With Tsogo Sun hotels throughout the country, we offer travellers a local perspective. South Africa has 11 official languages with English spoken throughout the country. Up to 50% of the population of Durban have English as a first language. With its mix of cultures and languages it is no surprise that Durban has its own special sound. ‘bunny’ or ‘bunny chow’ is a Durban-Indian food-speciality. Try one for yourself at a classic spot like Jeera. Durban generally offers even more value than Johannesburg and Cape Town. 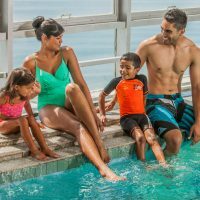 From shopping and dining to entertainment and hotel stays, there are plenty of opportunities to enjoy excellent value without compromising on service or quality. It’s always good to be cautious when exploring a new city, and Durban is no exception. But don’t be paranoid, just use good common sense and don’t be afraid to ask for help. Avoid walking around the city at night, although some suburbs have safe areas for you to explore between bars and restaurants. Don’t flash your valuables around or leave valuables on display in your car. If in doubt, just ask. The Durban beachfront is part of a Tsogo Sun supported policing initiative. Durban has a very pleasant year round climate and it’s not unusual to enjoy a ‘beach day’ any time of the year. Expect some rainy days during spring and summer but don’t expect an extended non-stop rainy-season. Summer (Mid October – February) 25 °C average temp. Winter (June to August) 17 °C average temp. Spring (August – October) 18 °C average temp. Bring your shorts even if you’re visiting in winter. Hire a car at the airport or in the city for the easiest way to explore Durban and the surrounds. The airport has a choice of international car hire companies such as Avis and First. Ring ahead and book a taxi. Ask at your Tsogo Sun hotel reception to book one for you. Durban’s Golden Mile runs along some of the best swimming and surfing beaches in the country. The natural bay in which it lies along with the layout of its many piers and the protection of shark nets, makes it one of the safest stretches of coastline to enjoy your beach holiday. Have fun in and out of the water, hire a surfboard for the day or join the kids in building their dream sandcastle. South Beach - Smaller surf for beginners and located near uShaka Marine World and Moyo on the pier for drinks and snacks. This is a great family beach. North Beach - Arguably Durban’s most popular beach (especially during December school holidays), North Beach is great for bodyboarding, paddle boarding and swimmers who don’t mind bigger waves. New Pier / Dairy Beach - Reliable surf at this Durban favourite that can get a little crowded in the water. Bay of Plenty - As popular as it is for fishing as it is for sunbathing. The pier (especially very early morning) is a great place to catch the local fishermen in action. Beyond Durban - If you fancy a change from the Golden Mile then head south and discover tourist friendly beaches such as Margate and Ramsgate (a little over an hour from Durban) or North to uMhlanga Rocks (just 20 minutes from Durban) for an upmarket beach vibe. Pavillion Mall – a Durban landmark with 245 stores just 5kms from the centre. The Pav, as it’s known, is one of the best shopping spots in the city. Gateway Theatre of Shopping – A little out of the city in uMhlanga is Africa’s largest mall. Gateway has everything from a skate park to big brand flagship stores. Rivertown – part of a new urban regeneration initiative the area has its first major player with 8 Morrison, a design hub for creatives. Station Drive – a transformed industrial area is becoming one of the hottest spots in the city and home to a micro-distillery, vintage shops, trendy dining and a selection of handcrafted goods from designer clothes to wooden sunglasses. I Heart Market – if you are in the area on the first Saturday of the month take a drive to Moses Mabhida stadium and explore one of SA’s largest design markets. Moses Mabhida Stadium – take a Segway or bike tour around this tourist friendly stadium. If you are feeling extra brave get harnessed into the world’s tallest swing at the top of the stadium. Cycling – hire a bike at Moses Mabhida Stadium or on the beachfront and spend some hours cruising the bike friendly Golden Mile. 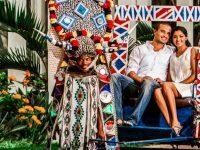 Inner City Tour – jump on the Durban Ricksha Bus and enjoy a 3-hour guided city tour. Durban is known for its spicy dishes, but there is no shortage of culinary picks for foodies looking for a taste to remember. From melt-in-the-mouth sushi to reinvented South African home-cooking and plenty of familiar European style classics, the Durban menu is most definitely a global one. Jeera – the menu offers a range of classic Indian dishes with a contemporary twist and a little bit of Durban inspiration. Daruma – sushi, sashimi, tempura and other tantalizing Japanese and Asian dished all expertly prepared with fine ingredients at Southern Sun Elangeni & Maharani hotel in Durban. Grill Jichana – traditional grill house favourites combined with flavours of the African East Coast spice route. The Sugar Club – culinary excellence, unsurpassed service and an award winning wine list. Lingela – guests return again and again to Lingela, Durban’s favourite interactive buffet restaurants. Lingela has everything from seafood and vegetarian dishes to prime cuts and mouth-watering desserts. Vigour & Verve – a hip coffee-bar style café on the Durban beachfront. Great coffee, tasty cakes and a choice of light meals for a lazy way to spend some hours. Elements Café Bar – eclectic informal dining, light snacks, cocktails and more at uMhlanga’s famous Beverly Hills hotel. Our Durban spa guide is the first step on your path to relaxation, rejuvenation and refreshment. As with all spa treatments, the best way to enjoy the experience is to tell the therapist exactly what you want to achieve and let them do the work. If you are looking to de-stress during your visit to Durban then a massage is a very good idea. A massage by a trained therapist can relieve aches and pains or just pamper you into a feeling of total relaxation. If you prefer a light massage opt for a Swedish or aromatherapy massage. You’ll love the Dancing Fingers massage at the Suncoast Spa. If you want something to get a little deeper, hot stone massage or a deep- tissue massage can help ease out any muscle aches. You’ll love Rhythms of the Back massage at Suncoast Spa or Izimanga full body hot stone massage at Mangwanani Boutique Spa. As with all spa treatments, the best way to enjoy the experience is to tell the therapist exactly what you want to achieve and let them do the work. If you feel that your skin is looking a little tired, perhaps more lines than you’d like to see, or just want to treat your skin to a little rejuvenation then a facial is for you. Facials are designed to improve your skin using natural therapies and treatments. For a quick treatment choose the Radiance Facial or the Ubuso facial for skin that is cleansed, restored and soft. Durban’s Suncoast Spa also has a choice of facial treatments tailored to your exact needs, from Anti-Aging to an Ocean Goddess facial designed to improve your complexion, elasticity and luminosity. Your hands and feet do a lot for you, so it’s probably time they get a little pampering. A pedicure (feet) or manicure (hands) revitalizes the look and feel of your skin and nails. Take a little time out with a full 60 minute manicure or pedicure at Mangwanani Spa in Durban, or even opt for a gel colour or polish at Suncoast Spa. While individual treatments focus on a specific area of your body a full spa treatment or spa package will leave your entire body and mind feeling less stressed and energized. Combining the best beauty treatments along with gentle massage therapy is the perfect way to relax in Durban. The Harmonious Half Day Spa stretches over three hour long therapies including Hot Stone massage, a skin cleansing ritual and a North African Head, Neck & Shoulder massage. Alternatively a Repair or Replenish spa package includes a Serene Soul Massage as well as beauty treatments for the body, face, hands and feet to leave you looking and feeling your best. A couples spa treatment is perfect if you want to reconnect with your loved one, or even just take some time out to relax together. Both of our Durban beachfront spa’s allow you to book couples sessions. Just get in touch with either the Spa at Suncoast or Mangwanani Boutique Spa at Southern Sun Elangeni & Maharani. Spa treatments are not just for ladies; gentlemen are well catered for with a range of treatments that are tailored to their skin and to reverse the effects of daily skin damage from shaving. From re-energising the skin to exfoliating back rubs and hand and foot grooming, the spa is just what your body needs. Book a Babor Men’s Re-Energising Treatment to desensitize, moisturize and revitalize your face. Mama’s Touch – a specially designed massage for pregnant mum’s to be. Indian Ocean Dream – a spa package for a special occasion that includes body treatments, face treatments, hand and foot treatments and an indulging massage. Cleopatra Milk Wrap – a queenly treatment to leave your skin satin smooth and nourished. Chocolate Body Wrap – luxury for chocolate lovers that tightens and repairs the skin. Keep your phone off. Even if your spa allows it, a cell phone free zone increases relaxation. Dress comfy and your spa will provide you with slippers a towel or sarong. Drink water or herbal tea before and after your treatment to keep hydrated and flush out toxins. Open shoes are a good idea if you are getting your nails done. No need to blush, trained therapists will keep you discreetly covered except for the treatment area. Your therapist is your friend, tell them what you like and let them do the work. Regent Business School is a private institution focused on postgraduate management education in South Africa.